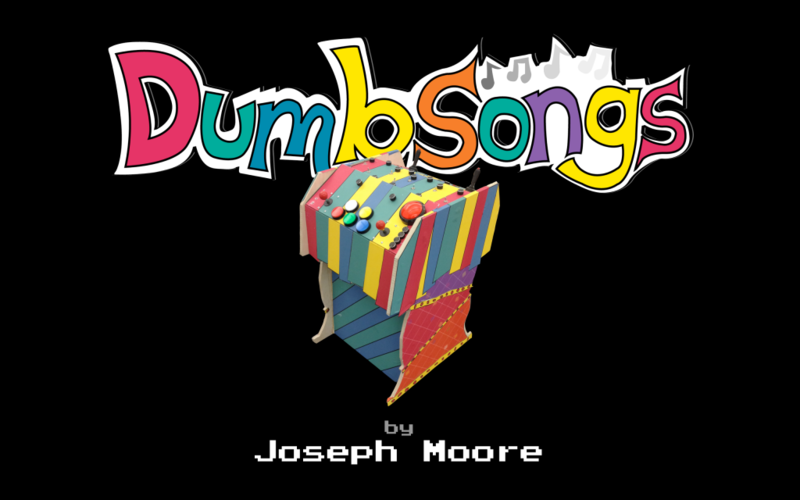 Dumb Songs is a collaborative musical toy, designed to give you a fun, play-experience by not taking yourself so seriously. The collaborative nature of the work is evident in the sound sculpting as well. The layout, design of controls, and configuration of software were all considered, not only for their own pure aesthetic qualities, but also in furtherance of fun and collaboration. Dumb Songs gives you a chance to be silly and make fun sounds with a friend, stranger, or anyone else who happens to walk by. I hope that it will be half as fun to play as it was to make. Dumb Songs – User Test from Joseph Moore on Vimeo.